In C# there are 5 different types of Access Modifiers. public There are no restrictions on accessing public members. 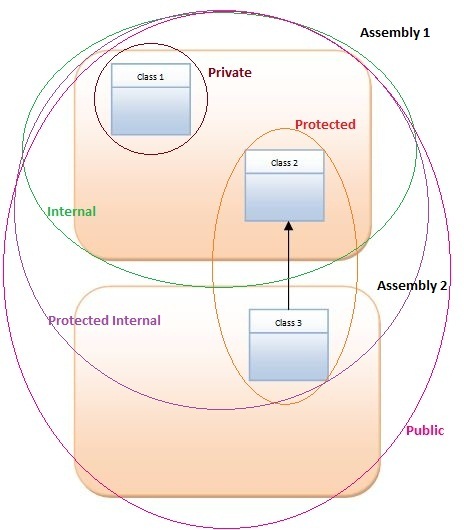 protected internal Access is limited to the current assembly and types derived from the containing class. All members in current project and all members in derived class can access the variables. An enum has default modifier as public. A class has default modifiers as Internal. An interface has default modifier as public. A struct has default modifier as Internal. A methods, fields, and properties has default access modifier as “Private” if no modifier is specified.